It would seem that wood has become very fashionable. I’ve been noticing “wood effect” items springing up all over and only growing in momentum. Ever Prince George was enlisted in a Montessori playgroup. Montessori schools characteristically value children interacting with natural materials such as wooden building blocks. If wood is good enough for the future King of England then I am paying serious attention to this growing trend. Prince George carries serious influence in the fashion world, he only has to point at a pair of knee-high socks and they will be out of stock in seconds. I have delved into the designer woods and foraged for the clothing and accessory equivalents of the Alba White Truffle (in terms of sought-after ability and not expense). Below are some of my top picks of the emerging “natural materials” trend. The abundance of natural materials emerging, stores give us a glimpse into the fashion forrest. Shop the items by clicking on the description: Jimmy Choo Wedges, Jimmy Choo “Halley” (out of stock), JCrew woven straw point shoes, Kenneth Jay Lane Bracelet (similar to pictured), Rebecca Minkoff Wooden “Jessica Wedge” (Out of Stock-similar here), Kenneth Jay Lane Wooden Necklace (Out of Stock-Similar), Anouk grosgrain-trimmed woven fedora- available online via Net a Porter, Carina Pom Pom suede wedge espadrilles- Castaner (available via Net-a-Porter), Dipytique Feu De Bois Candle, Givenchy Silk Scarf- not available, similar via net-a-porter, YSL suede waist belt (not available- similar found), Marni Wood and Perspex earrings (not available-similar), Tom Daxon Sicilian Wood, Tabitha Simmons Perforated Cork Shoes (Available via Net-a-Porter), TOMs chevron bag, Womens wood watch. On a recent trip to New York (which you can read all about in my city break mini series Handbag essentials for a City Break…) I even kept myself hydrated by sipping from a “wooden” bottle. I guess I am partial to this nature inspired look-I have always been a fan of rustic weddings-my own featured a cake disguised as a tree and table names ranging from Oak to Cherry. 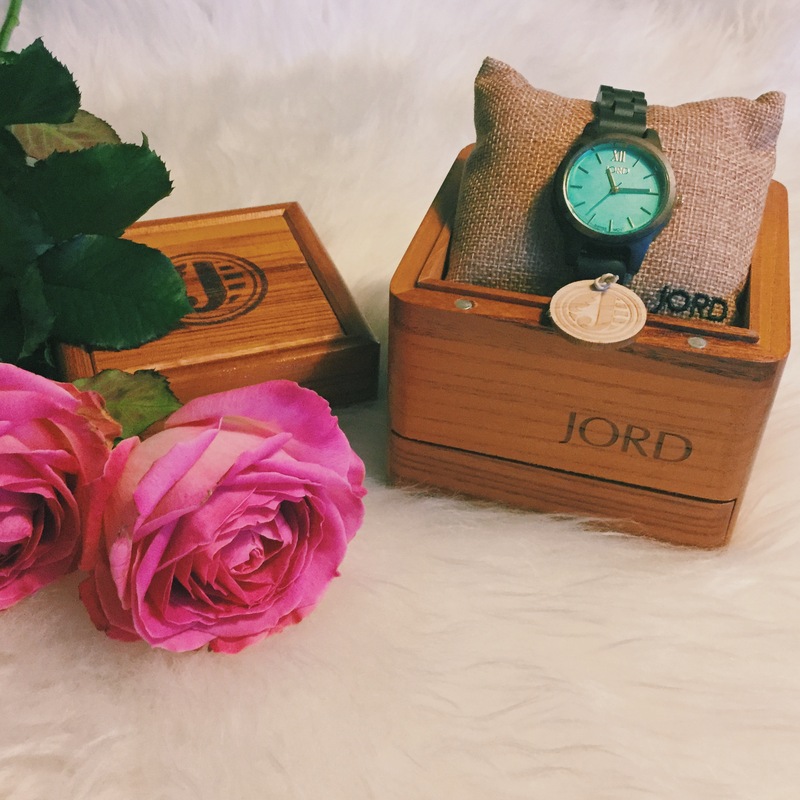 Therefore it wouldn’t surprise you to hear that when the lovely folks at JORD wood watches reached out to me and wanted to send me one of their genuine wooden watches…well to say I jumped at the chance would be an understatement. 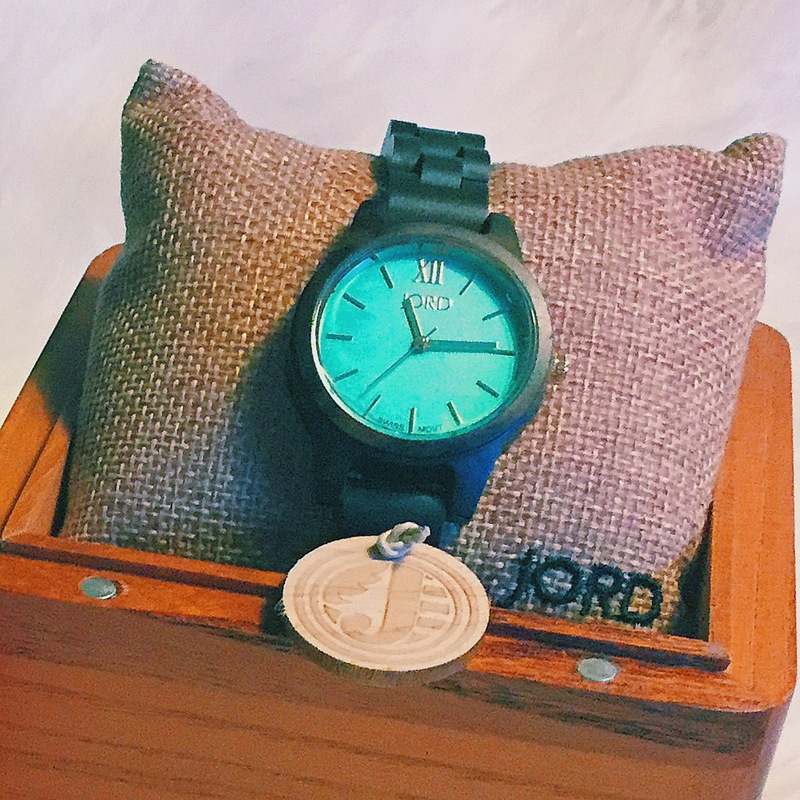 The watch I chose was the Frankie in Dark Sandalwood and Mint Green. If you didn’t know already, “Greenery” is the Pantone colour of the year 2017. That means this watch is a double whammy for fashion points what with the emerging trends for wood and all things green. 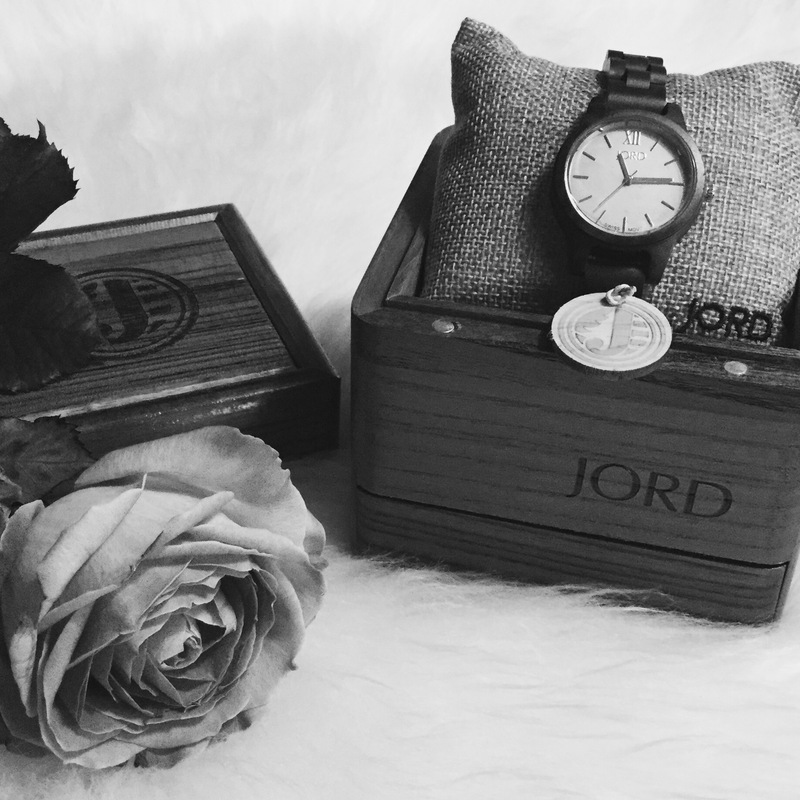 Now, I must be clear, although JORD wood watches have sponsored this part of my post. The opinions i’m sharing with you are 100% my own (or “jenuine” some might say! Sorry, I couldn’t help myself). My watch arrived in no time at all despite international shipping (factor this in if buying in the UK as you will be charged customs tax- my watch incurred £13 worth of tax). The wood watch comes packaged in what can only be described as art- a chunky, impressive, wooden case that could be used to store trinkets etc. Now for the watch itself. Beautifully comfortable and light-weight. These watches are unusual enough to catch the eyes of others. I have received many a compliment from the staff at (insert any coffee shop franchise here) as I have bared my wrists, reaching over to hand them my loyalty card as I continue on being a slave to my caffeine habit. At least now I have more stamina with my coffee flask carrying arm, as this watch certainly doesn’t weigh you down! Head over to their website and check them out. Valentines day is around the corner and one of these would make a rather lovely gift. What are you predicting will be big in the fashion and beauty world in 2017? I’d love to hear your trend predictions. Next Post The Best Places to Stay, Eat and Shop in New York.